Red5 Media Server is a powerful media streaming server worked on RTMP protocal. Red5 is an open and extensible platform, which can be used in Video Conferencing or Network gaming. This article will help you to install Red5 media server on CentOS and RHEL Systems. You may skip this steps if you have already installed java on your system else use below link to install latest java version. Its necessory to set environment variables to make it working. 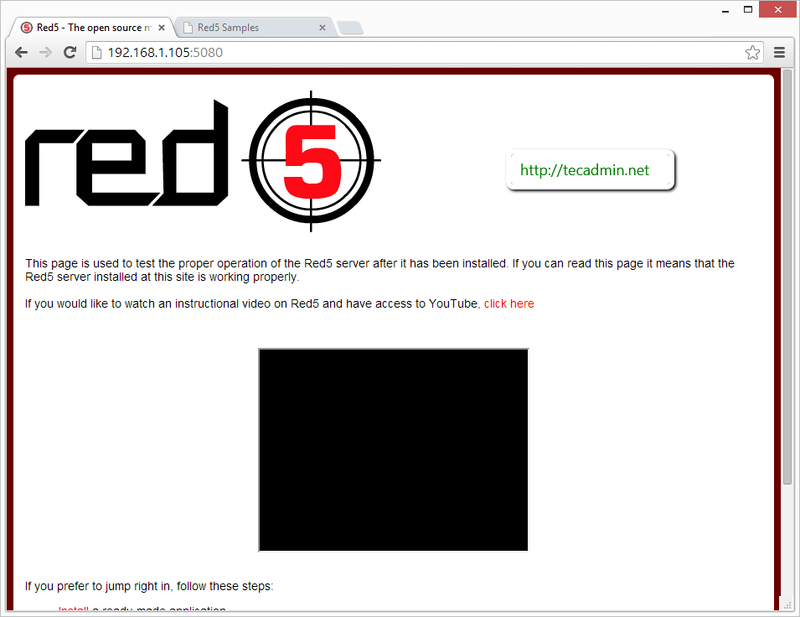 Use this link to find latest version of Red5 or use following commands to download red5 1.0.1. Also extract them. 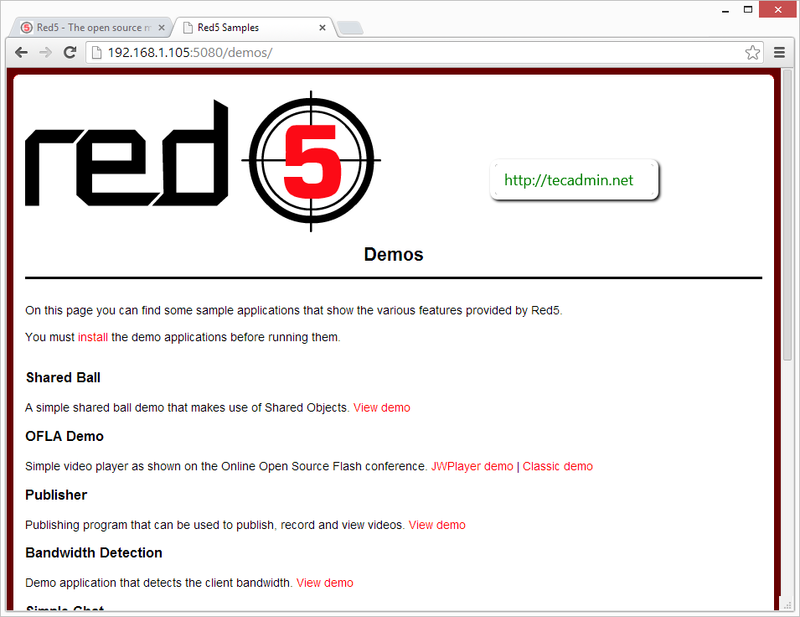 After extracting downloaded archive, lets start Red5 using shell script red5.sh available in directory. 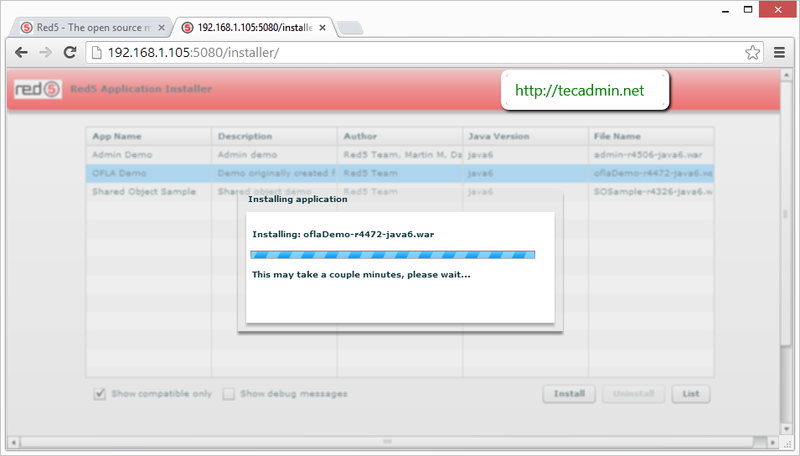 Open following url in your web browser to get demo apps install screeen. Change ip with your system ip or fqdn. Open following url in your web browser to get access demo apps page. Change ip with your system ip or fqdn.